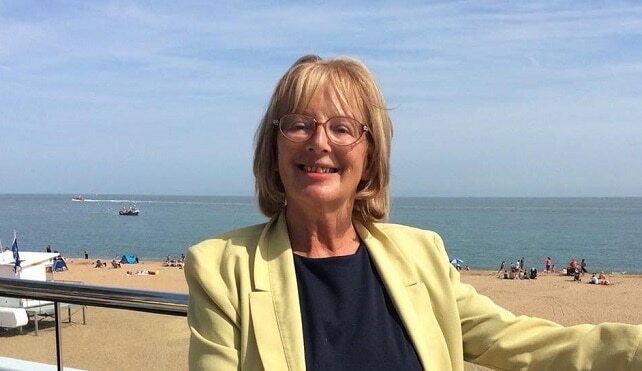 The Margate Sands bay inspector has been removed due to a lack of funding, says ward councillor Iris Johnston. Your Leisure provides the inspectors but has had to review which services it will offer since Thanet council slashed funding to the organisation. Cllr Johnston said she has been told bay inspectors will now only be provided on sites with beach huts, which provide an income. She said she was not notified of the decision and only found out when beach traders contacted her to find out how they could get their equipment out of the inspector’s hut. She said: “Concessionaires were asking me about the keys for the hut, When I checked what was going on Your Leisure said they could no longer supply someone as they were not funded to do so. “I have challenged the council officer about what affect this will have on the Blue Flag status as one of the criteria for it is to ensure safety management. The officer didn’t feel it was a consideration. 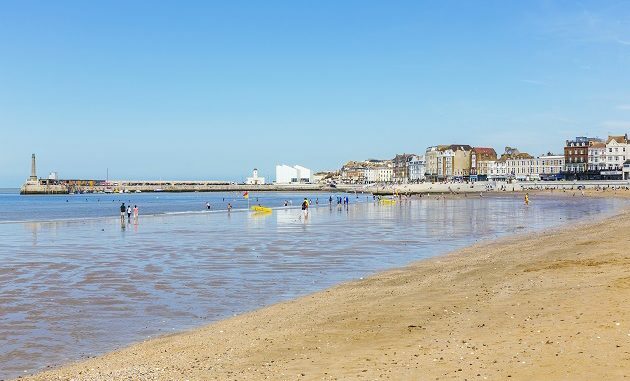 “It is of considerable concern to me that one of the busiest beaches in Thanet will no longer have an inspector and there will be no-one to properly look after lost children and to report rubbish. It may be that the lifeguards will have to do any beach announcements. “What is very disappointing is that I had to hear about this from the concessionaires who did not know how to access their equipment. 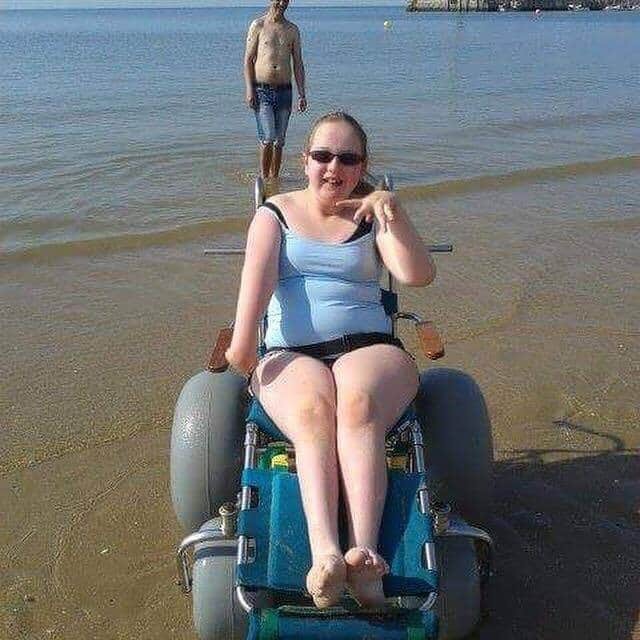 The withdrawal of the inspector from Margate has also hit the Beach Within Reach charity, which provides all-terrain wheelchairs for people to be able to access bays across the isle. Debbie Fifield, from the charity, said: “The withdrawal means we cannot currently offer the wheelchair at Margate. I only found out there was no bay inspector after I tried to get hold of the foreshores officer to arrange getting the chairs out and was told she is no longer at the council. Ms Fifield said it was particularly disappointing not to have the service at Margate after donations and fundraising by Thanet residents, groups and businesses had raised £63,000 to replace all 15 chairs. Thanet council has been asked for comment. Officers on who’s instructions. ? Under the leadership of Cllr Wells or Cllr Bayford. ? Typical attitude to ruin anything any good in Thanet by our Council. Just as the tourist season starts important services are cut without anyone knowing about it. Oh well, we can all get stuffed can’t we? UKIP is no longer, so what does the Council leader have to say about this, and more importantly, will he fund the service? Yet again, a counter productive and ineffective decision has been made (and not overturned by the incumbent governing party of TDC). The money that would have been (proactively) saved by the bay inspectors remit regarding beach litter reporting, will now be reactively dealt with by TDC and cost them a lot more. The lack of a bay inspector will also highly likely affect the blue flag status which will have a negative consequence. Furthermore, beach access for disabled people will be severely limited. How can this be right or fair? It is not. Finally whatever decision was made and by whom, there is no excuse for it not being communicated to relevant local councillors, The Beach Within Charity (who raised a huge amount of funds) or Thanet residents by TDC. Consequently it feels like it was kept quiet on purpose. We know TDC and other local councils are struggling and have to make difficult decisions but financially, this decision appears to be flawed and highly counterproductive, being much more costly, in the long-term. There’ s a rumour going round this town that TDC were nearly good once. Like i say the officers run TDC and badly at that. Why don’t our ELECTED councillors make the difference they say they will at election time.